Based in Indianapolis, Indiana Circle City Choppers is one of the retail partners of Bikersinc, a non- profit supporting veterans. 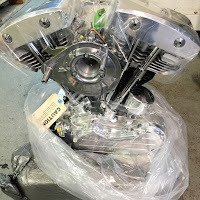 Circle City Choppers specializes in oil and lubrication products, motorcycle parts and certain accessories necessary for your bike. As a preferred retail partner for Bikersinc, any member of the nonprofit gets a substantial discount on our products. With us, all our parts and supplies will be drop shipped right to your door.